Gettysburg Licensed Battlefield Guide Roy Frampton is the co-author (with Licensed Battlefield Guide Jim Cole) of the book Lincoln and the Human Interest Stories of the Gettysburg National Cemetery. 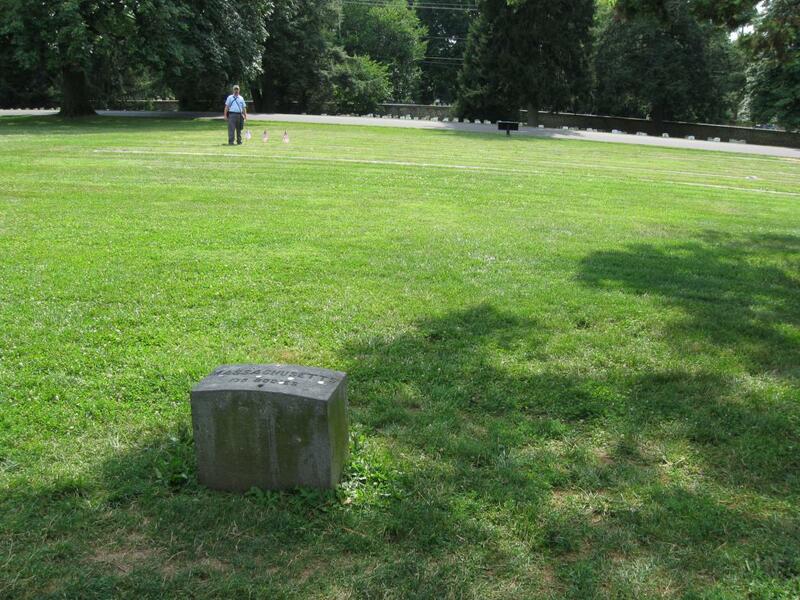 He continues our series of the Gettysburg National Cemetery in the Pennsylvania Section. This view was taken facing west at approximately 4:30 PM on Wednesday, July 15, 2009. Gettysburg Licensed Battlefield Guide Roy Frampton begins a series on the Gettysburg National Cemetery, also known as the Soldiers National Cemetery. 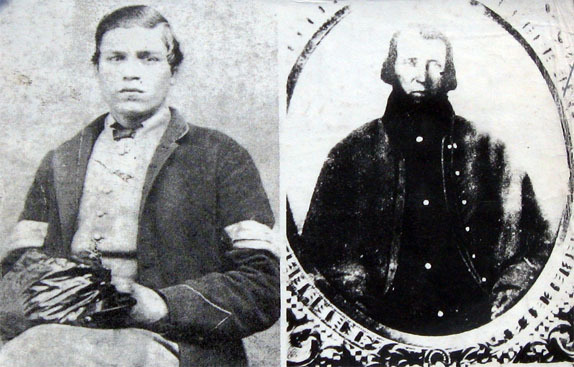 Reverend Roy Frampton has been a Civil War “Buff” since the age of nine years old. He became a Licensed Battlefield Guide in 1968, and is currently the President of the Association of Licensed Battlefield Guides. 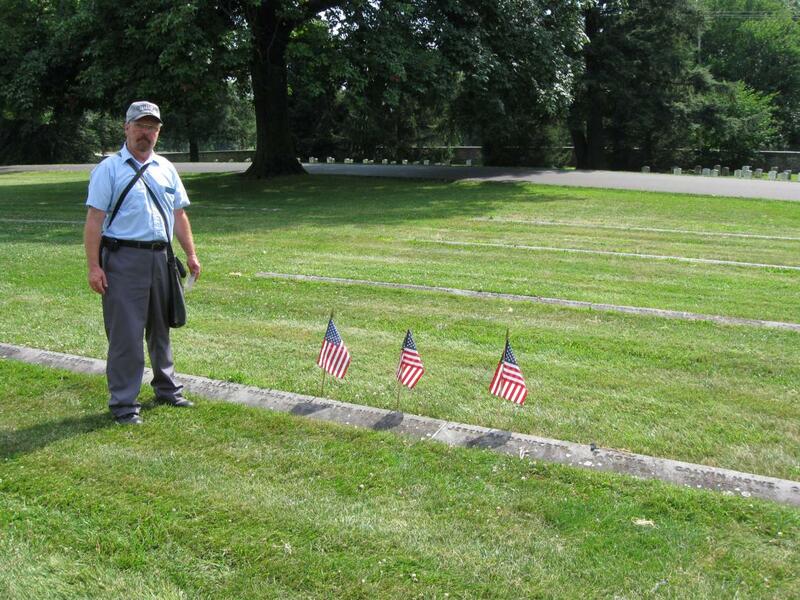 The Gettysburg National Cemetery has been passionately studied by Roy for many years, and he concentrates on the personal lives of the soldiers buried in the cemetery. 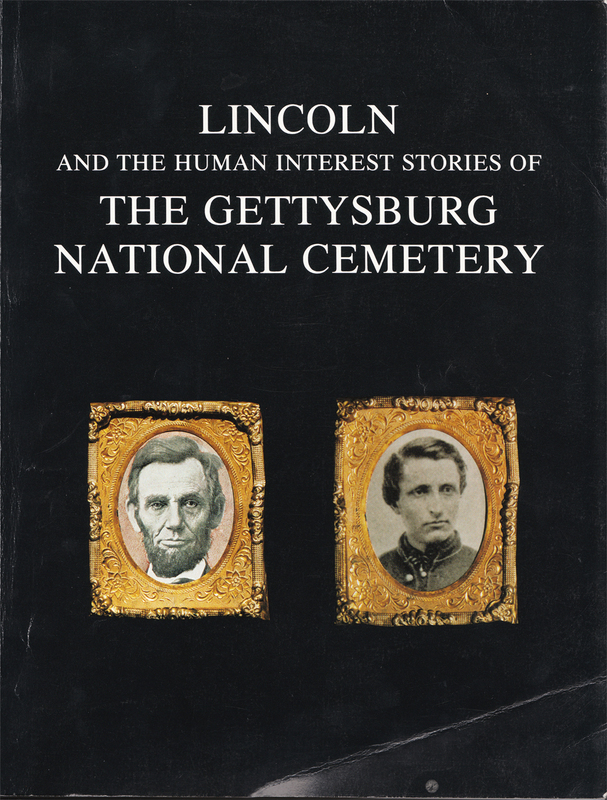 Roy Frampton is the co-author (with Licensed Battlefield Guide Jim Cole) of the book Lincoln and the Human Interest Stories of the Gettysburg National Cemetery. In our first post, Roy Frampton introduced the cemetery, and showed us the burial place of a Congressional Medal of Honor recipient and the latest remains found on the Gettysburg Battlefield. In our second post, Roy showed us a soldier from Maine who isn’t buried in his grave, two soldiers from Brown’s Rhode Island Battery killed on July 3, 1863, and one of the most famous residents of the cemetery, Sergeant Amos Humiston of the 154th New York Infantry Regiment. In our third post, Licensed Battlefield Guide Roy Frampton showed us three individuals buried in the New York Section including the highest ranking U.S. officer killed at Gettysburg and buried in the National Cemetery. In our fourth post, LBG Roy Frampton showed us some Pennsylvania soldiers, and four Confederates buried in the Pennsylvania Section of the National Cemetery. In today’s post, Roy Frampton tells us the story of a soldier who visited his grave in the National Cemetery, and shows us three Antietam casualties and the great-grandfather of a President of the United States. 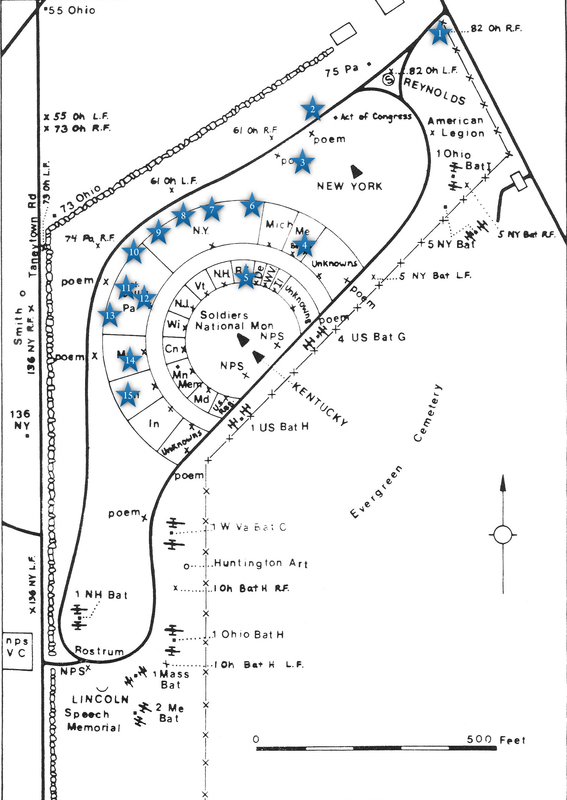 This map shows us the locations taken of videos for the Gettysburg National Cemetery series. Video #1 was at the Baltimore Street entrance to the National Cemetery. Video #2 was taken at the grave of Congressional Medal of Honor recipient William Miller. Video #3 was taken at the burial location of the remains of a soldier found on the Gettysburg Battlefield in 1995. Video #4 was taken in the Maine Section at the gravesite (but not the grave) of Orwin Walker. 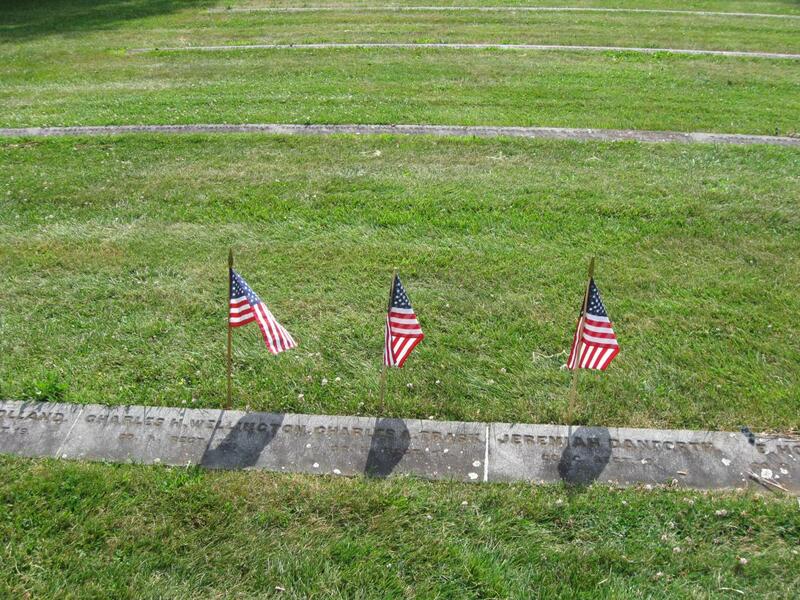 Video #5 was taken in the Rhode Island Section at the graves of two soldiers in Brown’s Rhode Island Battery. Video #6 was taken in the New York Section at the grave of Sergeant Amos Humiston. Video #7 was taken in the New York Section at the grave of Lieutenant-Colonel Max Thoman. Video #8 was taken in the New York Section at the grave of Sergeant Maurice Buckingham. Video #9 was taken in the New York Section at the grave of Private John Allen. 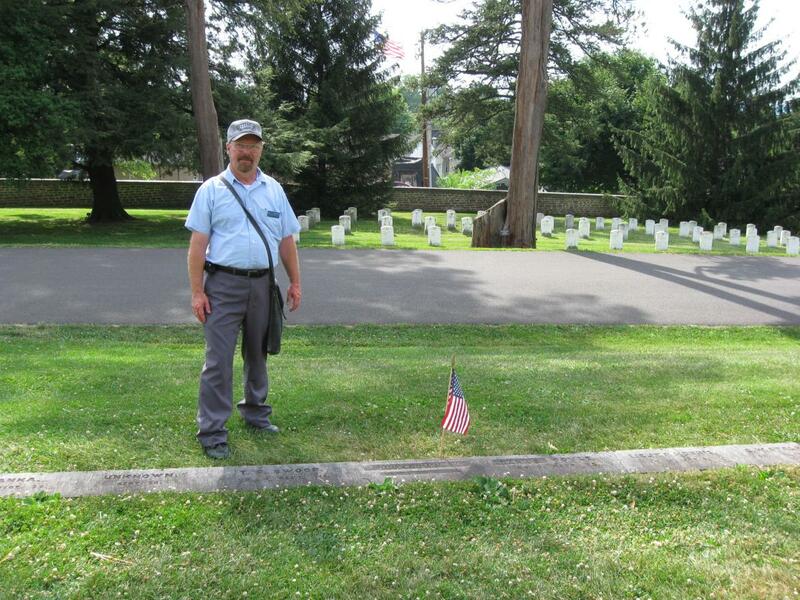 Video #10 was taken at the grave of Joseph S. Gutelius of the 150th Pennsylvania Infantry Regiment. Video #11 was taken of four Confederate soldiers buried in the Pennsylvania Section. Video #12 was taken by the monument to Brevet Brigadier-General Charles Collis. Video #13 was taken at the grave of a soldier whose grave was mistakenly identified. Video #14 was taken in the Massachusetts Section. Video #15 was filmed in the Ohio Section. This map was created facing north at approximately 4:00 PM on Sunday, July 26, 2009. 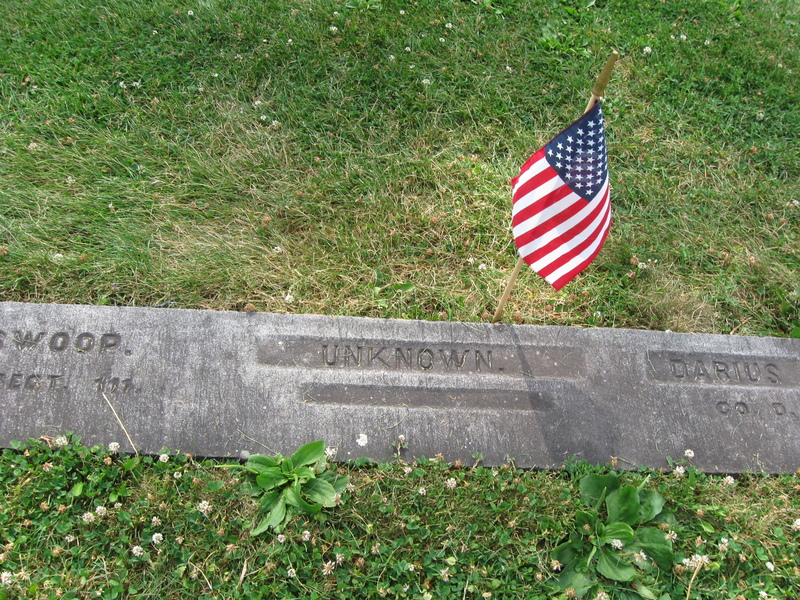 Stephen Kelly’s name was taken off the gravestone, and the word “unknown” carved in its place. This view was taken facing west at approximately 4:30 PM on Wednesday, July 15, 2009. Roy Frampton has now moved to the Massachusetts Section. This view was taken facing southwest at approximately 4:30 PM on Wednesday, July 15, 2009. The three individuals marked by the flags were not involved in the Gettysburg Campaign. This view was taken facing southwest at approximately 4:30 PM on Wednesday, July 15, 2009. In Video #14 Licensed Battlefield Guide Roy Frampton shows us three soldiers mortally wounded at the Battle of Antietam on September 17, 1862 who are buried in the Massachusetts Section of the Gettysburg National Cemetery. This view was taken facing south at approximately 4:30 PM on Wednesday, July 15, 2009. The individuals mortally wounded at Antietam included Charles Wellington of the 13th Massachusetts Infantry, Charles Trask of the 13th Massachusetts Regiment, and Jeremiah Danforth of the 19th Massachusetts Regiment. This view was taken facing southwest at approximately 4:30 PM on Wednesday, July 15, 2009. Roy Frampton has now moved to the Ohio Section to the grave of George Nixon of the 73rd Ohio Infantry Regiment. This view was taken facing southwest at approximately 4:30 PM on Wednesday, July 15, 2009. 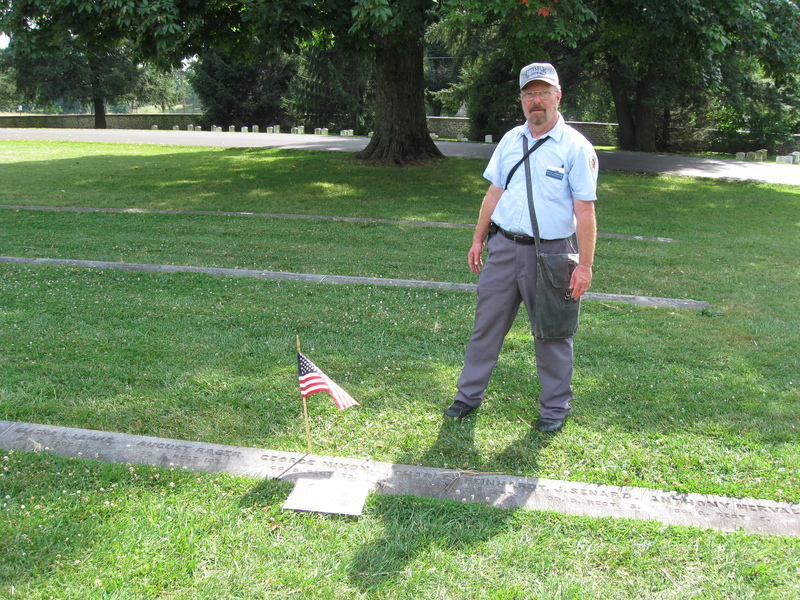 In Video #15 Roy Frampton shows us the grave of George Nixon of the 73rd Ohio Infantry Regiment. This view was taken facing southwest to west to southwest at approximately 4:30 PM on Wednesday, July 15, 2009. George Nixon was born in Washington County, Pennsylvania in 1821. On June 10, 1843 he married Margret Ann Trimmer and moved to Ohio. George and Margret had nine children. 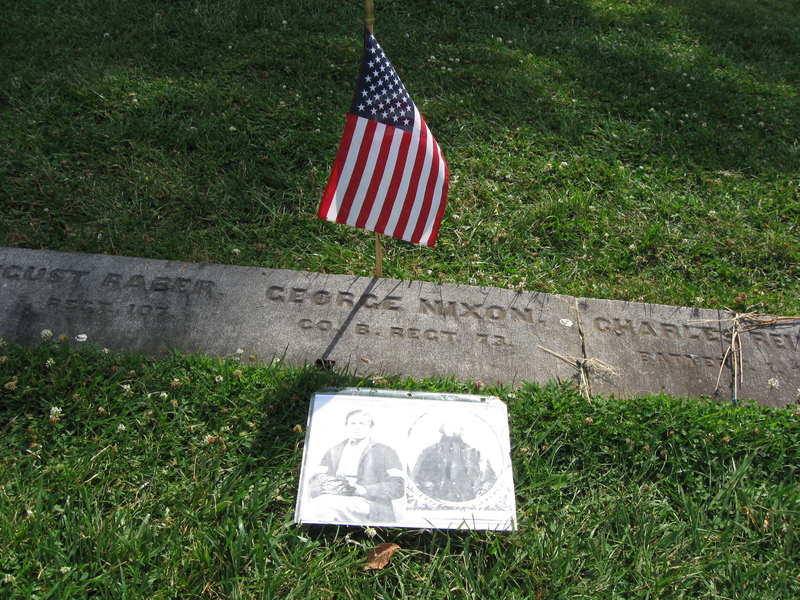 Their third child, Samuel Brady Nixon, was born in 1847 and was the grandfather of President Richard M. Nixon. This view was taken facing southwest at approximately 4:30 PM on Wednesday, July 15, 2009. Richard Enderlin is on the left, and George Nixon is on the right. The Congressional Medal of Honor citation for Richard Enderlin reads: “Voluntarily and at his own imminent peril went into the enemy’s lines at night and, under a sharp fire, rescued a wounded comrade.” This view was taken facing northwest at approximately 4:30 PM on Wednesday, July 15, 2009. 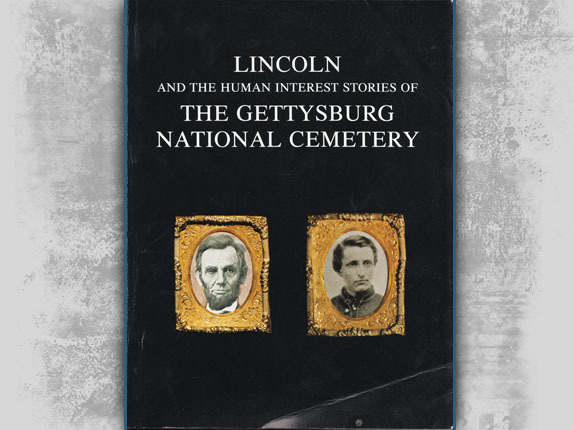 Gettysburg Licensed Battlefield Guide Roy Frampton is the co-author (with Licensed Battlefield Guide Jim Cole) of the book Lincoln and the Human Interest Stories of the Gettysburg National Cemetery. It is available from Amazon.com. This image was taken facing south at approximately 4:30 PM on Sunday, July 19, 2009.